The Challenge The Seva Challenge 2011 was focused on relief and reconstruction in Haiti. The Results 65 fundraisers collectively raised $376,000 and generated awareness about the challenges of chronic poverty and natural disaster worldwide. Haiti is the poorest country in the Western Hemisphere. Two years after the 2010 earthquake, there were still over 1 million refugees living in tents without access to water, food and health care. 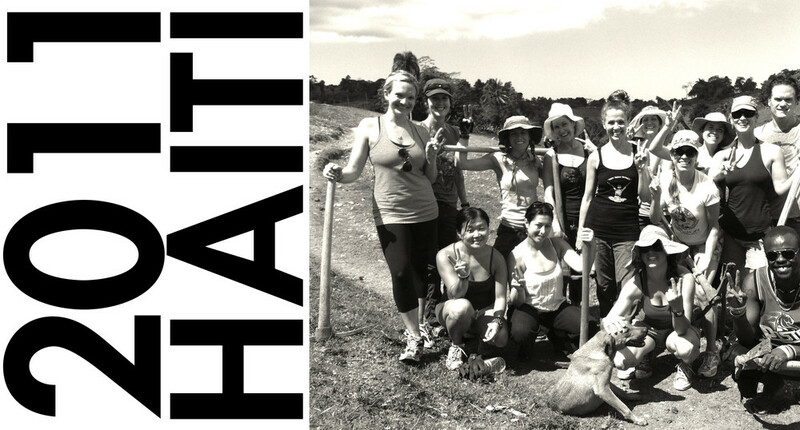 Partners and Projects Funds raised during the 2011 Global Seva Challenge supported 7 organizations in Haiti. Art Creation Foundation for Children (ACFFC) is a non-profit arts organization created for education and personal growth of children in need in Jacmel, Haiti. Association of the Peasants of Fondwa (APF) is a grassroots organization that has worked hand in hand with the peasants of Fondwa since 1988.Jacmel Children's Center is a collaborative effort – between community leaders of Jacmel, a Haitain construction school for teenagers, and US caring citizens – to construct an eco-efficient center for children in Jacmel Haiti. J/P HRO Haitian Relief Organization's mission is to save lives and bring sustainable programs to the Haitian people quickly and effectively.